Fall Heritage Festival Set for Saturday at Homeplace on Green River. 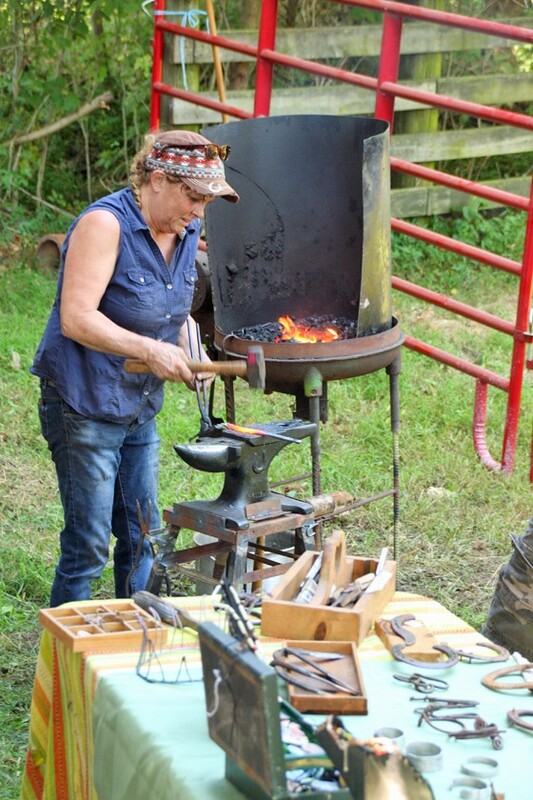 Blacksmith Robin Plank will return to Homeplace on Green River for the Fall Heritage Festival Saturday September 9. The festival begins at 10:00 and ends at 5:00 EDT. In addition to this exceptionally skilled blacksmith, there will be food vendors, arts and crafts vendors, hay rides, ox cart rides, a kiddie barrel train, pioneer reenactors, a fantastic display of live raptors included Allegiant the bald eagle, a 500 hay bale kiddie maze and many other exhibits and demonstrations. The $10 parking fee includes free access to all of the activities. Homeplace is located on Hwy. 55 between Campbellsville and Columbia. The address is 5807 New Columbia Road, Campbellsville 42718.